A study based on the results of the Allsop distressed property auctions show home prices are down by over 60 per cent from peak. A NEW STUDY of residential property prices has claimed that the value of the average Irish home has fallen by considerably more in the last few years than had previously been suggested. The study, carried out by Goodbody, suggests that residential property prices are down by over 60 per cent from their peak value, and that prices are only now trading at long-term fair value. The report is based on the prices fetched at the recent Allsop Space auctions of distressed property, which the report says gives “a better handle on current valuations” of the Irish market. Economist Dermot O’Leary added that the Allsop auctions also dealt with properties which were still occupied, with full rental data available, meaning that prices gave a better reflection of the true market worth of each property. The Goodbody report suggests that the average residential price is down by 68 per cent on its peak, compared to the CSO’s parallel index – compiled on the basis of successful mortgage requests – which indicates a 48 per cent drop nationwide, and a 57 per cent fall in Dublin. Goodbody explained that the way the CSO index was compiled meant it did not include cash sales, and argued that the Allsop auctions had brought “an added transparency to the market that was badly needed”. Although the fall in residential prices will be seen as bad news for owner-occupiers, it could mean that people looking to purchase rental properties could be see a return to value. The report suggests that if house prices fell by 60 per cent to the end of 2013, the average annual rental price for a residence is estimated to be 7.5 per cent of the total purchase price – well up from the 5.6 per cent shown by official data for the end of last year. The rental yield had stood at a long-term average of 8 per cent since the mid-1970s – suggesting that there may be better value in the buy-to-rent market now than there had been for some time. 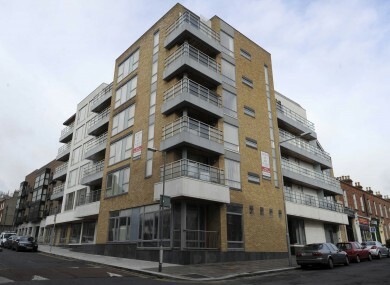 Email “Property prices down 'by more than suggested' - Goodbody”. Feedback on “Property prices down 'by more than suggested' - Goodbody”.